I don’t know how I have such a perfectionist of a kid. He has to do well in school. Last week he missed school because I thought his school was closed because my school was closed for Veterans Day. Nope! He had school. He did tell me he had school but I kept telling him he did not. Oh well! I guess next time I will listen or look at his school calendar. 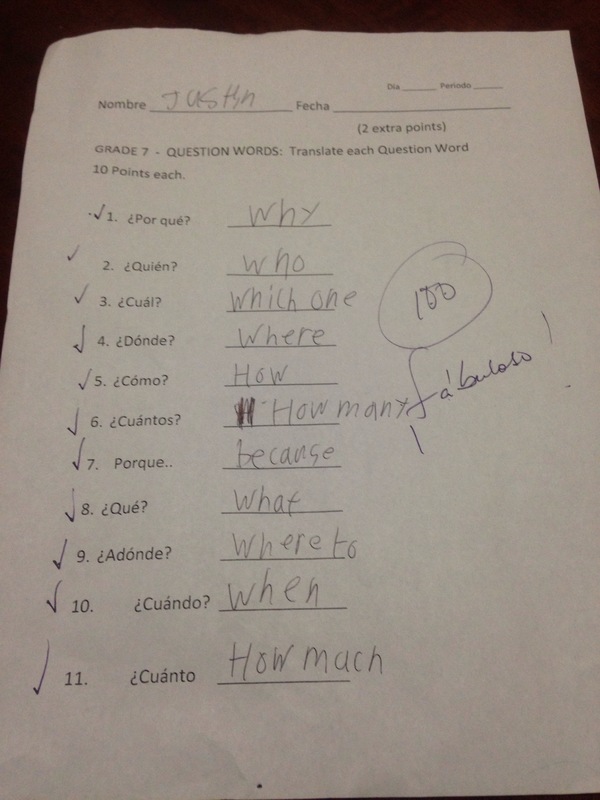 That following day Justin had a Spanish test and he didn’t do quite well on it. He called me overwhelmed and anxious. When Justin’s anxious he has a temporary headache and a slight panic attack. So what works in helping him relax is helping him sort out his solutions. I always remind him that it’s okay and next time he will do better but he does not like getting bad grades. So his solution was to stay late after class and speak to his teacher about giving him another chance to retake the test. Justin said he’s also going to explain to her that he doesn’t do well talking timed test. Which is true! He always failed a timed test even in math which is his favorite subject. He would cry seeing a 40 on his paper. He would say I knew all the answers but I was worried about the time and not having enough time to complete it. He’s very much aware of his capabilities. He went to his teacher and explained to her why he failed and asked her if he could retake the test and she said “yes”. As soon as he got out of school he said “Mom! I retook the test and I got an A”. 😊 I was so happy for him. I praised him and told him how proud I am of him.